Compatible rainbow bundle value pack of HP 201X printer toner cartridges. 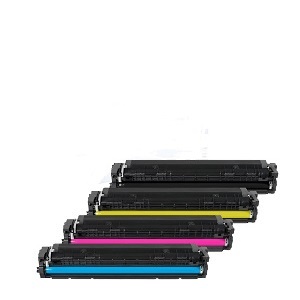 One (1) each of High Yield Black (201X), Cyan (201X), Magenta (201X) and Yellow (201X) (cf400x, cf401x, cf402x, cf403x) Compatible colour printer toner cartridges. HP Compatible 201X Printer Cartridge Page Yields : Black toner cartridge 2,800 pages. Each colour cartridge, Magenta, Yellow, Cyan 2300 pages. 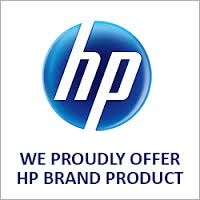 Manufacturer and print quality guaranteed Compatible HP 201X toner cartridges for HP Colour LaserJet, Pro M252, M252dw, M252n, M277, M277dw, M277n, M277c6 printers. 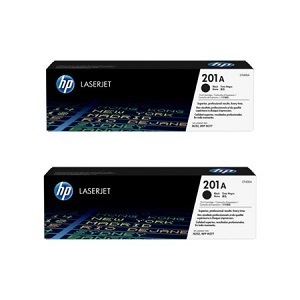 Keep your office printing costs manageable when purchasing our compatible set of HP 201X high yield toner cartridges to make sure you get the most value for your money for HP Colour LaserJet M252, M277 printer cartridges. With equivalent page yields to HP new toner supplies CF400X, CF401X, CF402X, CF403X - 2,300 each for Magenta Yellow Cyan and 2,800 page Black, you can slash your office printing costs without compromising presentation and receive a full manufacturer warranty as to toner cartridge print quality and performance.